Ashton Hagans is officially a Kentucky Wildcat, signed, sealed, and delivered. He made it on campus today, and the school announced his signing almost immediately. Last week at this time he was finishing up his last high school class and studying for a make-or-break final exam. Tonight, he’ll take the court with his teammates in a blue and white practice jersey at the Joe Craft Center. Life sure comes at you quickly. 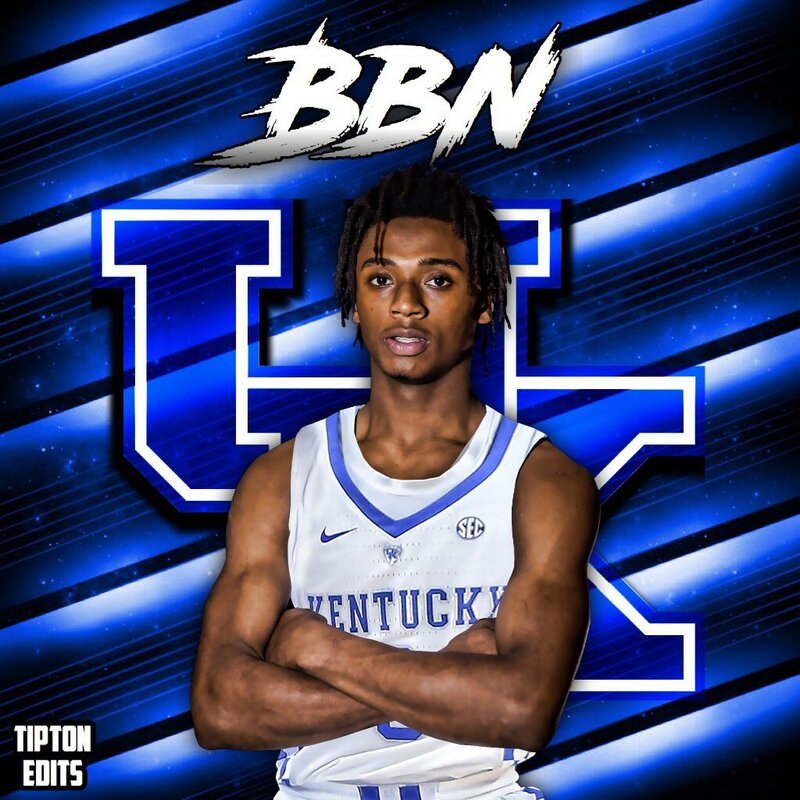 Before he got to Kentucky, however, Hagans participated in one final interview with the local media in Georgia to talk about his final moments in high school and his plans for the upcoming season as a college basketball player. He told Gabriel Stovall of the Covington News that the reclassification process has been stressful, but playing with his new teammates at Kentucky will make it all worthwhile. “Now that I’ll be playing with guys like Immanuel (Quickley), Tyler (Herro) and Keldon (Johnson), it was a big reason why I wanted to do this. We’re all gonna come in and kind of know each other. The biggest thing will just be finding out where everybody likes to get the ball, and what spots guys want to be in and stuff like that,” he said. Now that he’s officially a Wildcat, Hagans’ sights are set on possibly majoring in sports management, winning a national championship, and then hopefully entering the NBA Draft after one season. If it doesn’t work out that way, he’s comfortable with sticking around for another season. No more school work for the summer. No more deadlines. Just business-as-usual on the basketball court. Ready for what he has already decided as one of the top moments in his life thus far. “It’s probably one of the best times in my life,” he said. For Hagans’ entire interview with Stovall of the Covington News, take a look here. I can tell that this year’s team means business. The trip to the Bahamas is such a blessing to be this year! They will bond together. #9 is on the line! Go Big Blue! No sense in getting to know these kids or caring for them. Hopefully they’ll get us a title and that’s all that matters. Now that’s funny I don’t care who ya r.